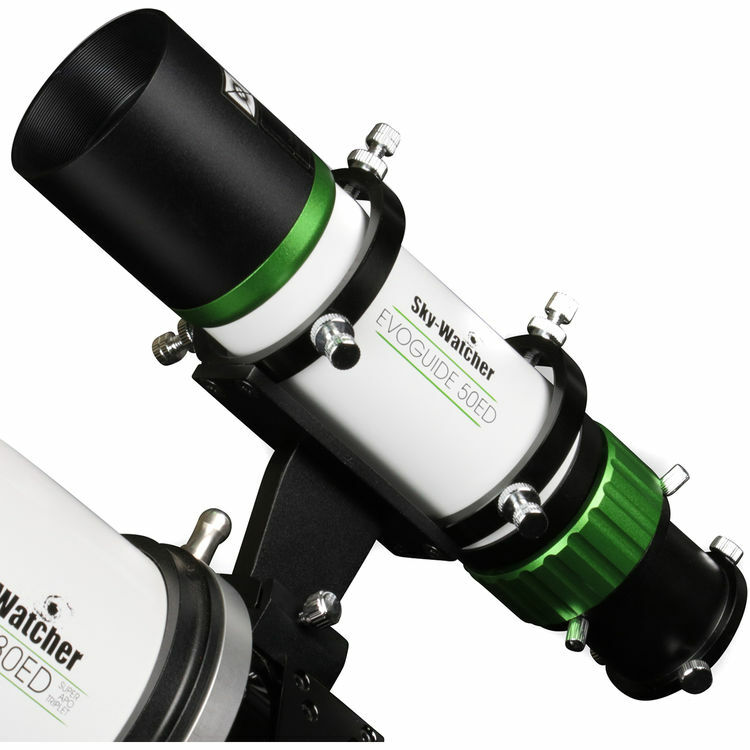 Use the Sky-Watcher Evoguide ED APO 50mm f/4.8 Guidescope to improve the precision of your autoguiding system or for wide-field astrophotography with small CCD imagers. The 50mm aperture, when coupled with the ED lens element, doublet apochromatic design, and helical focuser makes the Evoguide much more precise than standard guidecopes, producing the higher quality images required for accurate autoguiding. The smaller aperture and smaller size also makes it ideal for use with smaller imaging systems utilizing small chips for wide-field astrophotography techniques. Box Dimensions (LxWxH) 13.25 x 8.0 x 5.0"